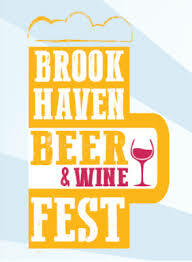 Brookhaven welcomes spring with their 9th annual Brookhaven Beer Festival! This is one of Atlanta’s largest and most popular beer tasting events and takes place at Brookhaven Park on April 6th. A portion of the proceeds from this event will benefit the Georgia Breast Cancer Coalition. Get more information and purchase tickets here! Brookhaven is one of Atlanta’s most vibrant in-town neighborhoods! Find out more and see the fabulous homes we have available on our Brookhaven community page!